Metals Glossary: What Is a Metal Hydride? Metal hydrides are metals which have been bonded to hydrogen to form a new compound. Any hydrogen compound that is bonded to another metal element can effectively be called a metal hydride. Generally, the bond is covalent in nature, but some hydrides are formed from ionic bonds. The hydrogen has an oxidation number of -1. The metal absorbs the gas, which forms the hydride. The most common examples of metal hydrides include aluminum, boron, lithium borohydride and various salts. For example, aluminum hydrides include sodium aluminum hydride. There are a number of types of hydrides. This includes aluminum, beryllium, cadmium, caesium, calcium, copper, iron, lithium, magnesium, nickel, palladium, plutonium, potassium rubidium, sodium, thallium, titanium, uranium and zinc hydrides. There are also many more complex metal hydrides suitable for various uses. These complex metal hydrides are often soluble in etherial solvents. There are four classes of metal hydrides. The most common hydride is those that form with hydrogen, dubbed binary metal hydrides. There are only two compounds—hydrogen and metal. These hydrides are generally insoluble, being conductive. Other types of metal hydrides are less common or known, including ternary metal hydrides, coordination complexes and cluster hydrides. Metal hydrides are formed via one of four syntheses. The first is hydride transfer, which are metathesis reactions. Then there’s elimination reactions, which includes the elimination of beta-hydride and alpha-hydride. The third is oxidative additions, which is generally the transition of dihydrogen to a low valent metal center. The fourth is heterolytic cleavage of dihydrogen, this happens when hydrides are formed when metal complexes are treated with hydrogen in the presence of a base. There are a variety of complexes, including Mg-based hayrides, known for their storage capacity and being thermally stable. The testing of such compounds under high pressure has opened it up hydrides to new uses. The high pressure prevents thermal decomposition. In terms of bridging hydrides, metal hydrides with terminal hydrides are normal, with most being oligomeric. The classical thermal hydridie involves binding metal and hydrogen. Meanwhile, bridging ligand is classical bridging that uses hydrogen to bind two metals. Then there is dihydrogen complex bridging that’s non-classical. This happens when bi-hydrogen bonds with a metal. The number of hydrogen must match the oxidation number of the metal. For example, the symbol for calcium hydride is CaH2, but for Tin it’s SnH4. Metal hydrides are often used in fuel cell applications that use hydrogen as a fuel. Nickel hydrides are often found in various types of batteries, particularly NiMH batteries. 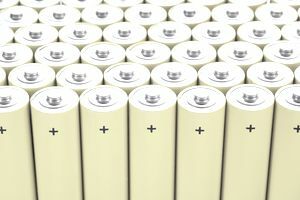 Nickel metal hydride batteries rely on hydrides of rare earth intermetallic compounds, such as lanthanum or neodymium bonded with cobalt or manganese. Lithium hydrides and sodium borohydride both serve as reducing agents in chemistry applications. Most hydrides behave as reducing agents in chemical reactions. Beyond fuel cells, metal hydrides are used for their hydrogen storage and compressors capabilities. Metal hydrides are also used for heat storage, heat pumps and isotope separation. The uses include sensors, activators, purification, heat pumps, thermal storage and refrigeration.